Ancient Rome will soon see some serious action. 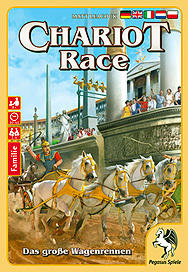 You are participating in a great race: use the dice to accelerate, brake, skillfully change lanes, and even attack your opponents. The truth lies in the arena.